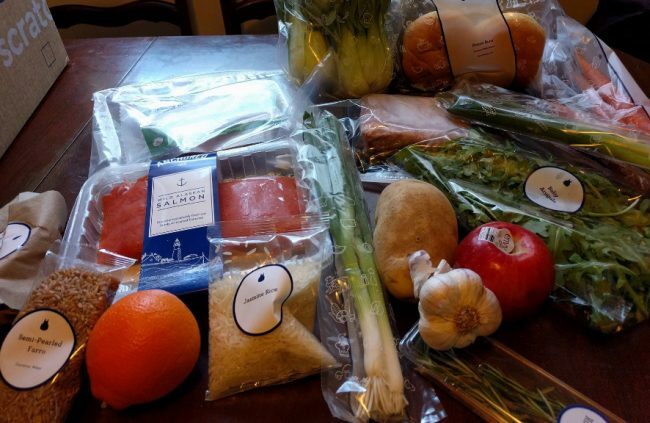 Blue Apron Reviews: Is the Family Plan Worth The Money? 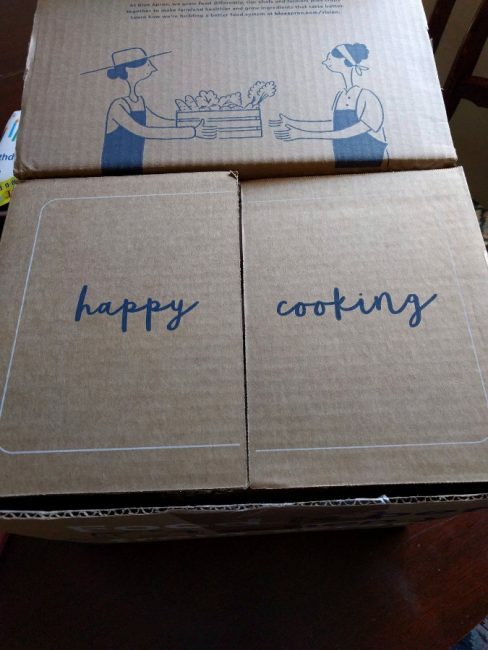 Blue Apron Reviews: Is the Family Plan Worth It? Delivered healthy meals delivered straight to your doorstep? No grocery shopping, meal planning or price comparisons? Sign me up! However, looking at some Blue Apron reviews, I decided I need to give the service a try myself. Blue Apron is a meal delivery service that provides customers with ingredients to prepare healthy meals along with step-by-step cooking instructions. I’d heard of Blue Apron before and was always interested in trying it out, especially because I have a large family to cook for. 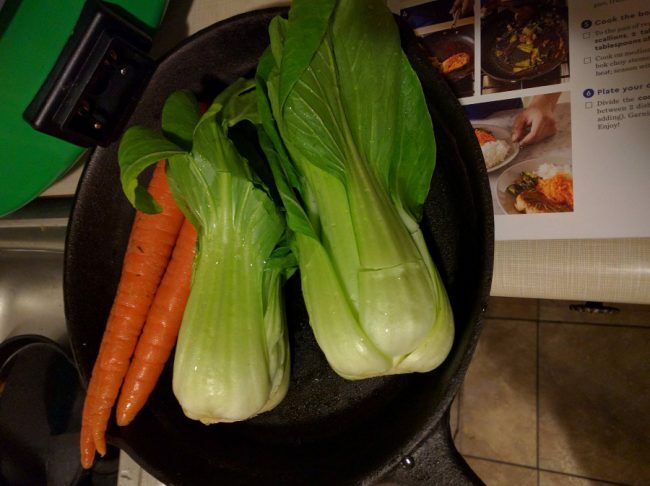 So, here is my Blue Apron family plan review. I usually prepare the meals in my household and while I don’t mind cooking, planning meals and going grocery shopping gets tiring after a while. Plus, my family likes a lot of variety and gets tired of eating the same foods pretty easily. 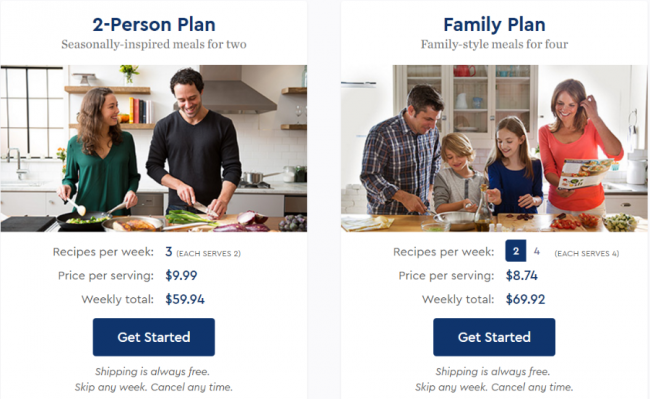 Blue Apron is easy to sign up for and you can choose from two different plans depending on your family size. You get 3 recipes per week if you choose the 2-person plan and you can get either 2 or 4 recipes per week if you choose the 4-person plan. The pricing didn’t really surprise me although it is higher than what I normally spend at the grocery store. Blue Apron’s pricing is simple. The 2 person plan is $59.94 per week and the 4 person plan is $69.92 or $139.84 per week. However, Blue Apron provides added convenience by shipping all your premium meal ingredients and providing step-by-step instructions so the higher price is pretty much evened out. Blue Apron does accommodate different dietary preferences, including vegetarian and pescetarian options, so be sure to include your preferences when you order if you have any. Meal boxes are shipped out from Tuesday to Friday and will occur weekly unless you log in and manually skip your shipment for a week so you won’t get charged. The insulated box arrives at your doorstep and the food is wrapped in two giant ice packs so if you’re not home when the food arrives, it should still be cool for a few hours. This was the fun part for me as I was anxious to try out the food. I ordered 3 different meals and froze some of the meat I didn’t plan on using right away to keep it fresh. 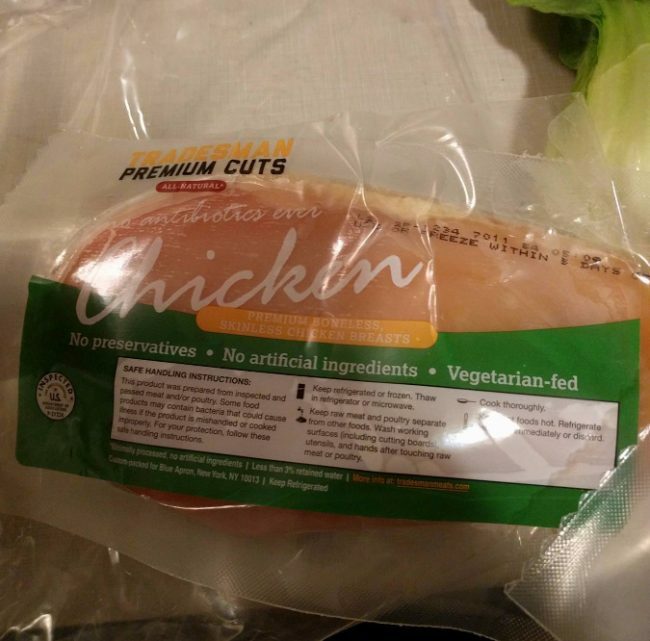 What I love about the meals I received was the quality of the ingredients. Blue Apron works with artisanal purveyors and hundreds of family-run farms to provide their meals. They also include nutritional information for each meal. The send you everything you need, the only things they assume you have salt, pepper and olive oil. For each meal, you get detailed recipe instructions for prepping and cooking the food. The instructions were easy to follow and the food tasted amazing by the way. 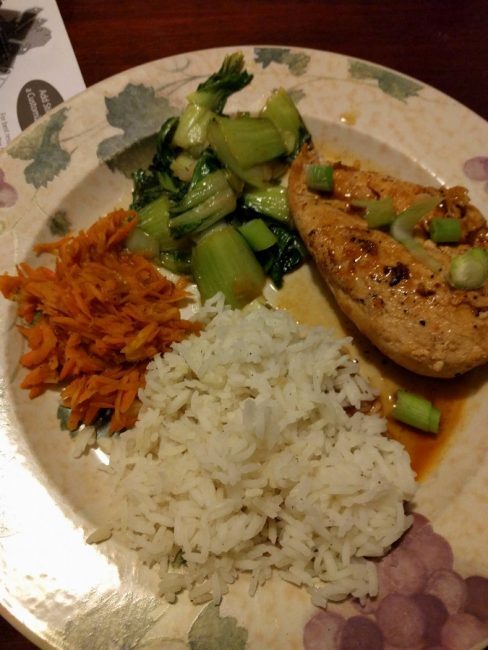 I personally love cooking from scratch but for people who are more used to convenience meals with simple ingredients, the Blue Apron meals were a little more on the complex side but I just had fun with it, tried my best and everything turned out delicious. It did take around an hour to prepare each of the three meals I received so be sure to keep in mind that you may be cooking for a longer period of time. 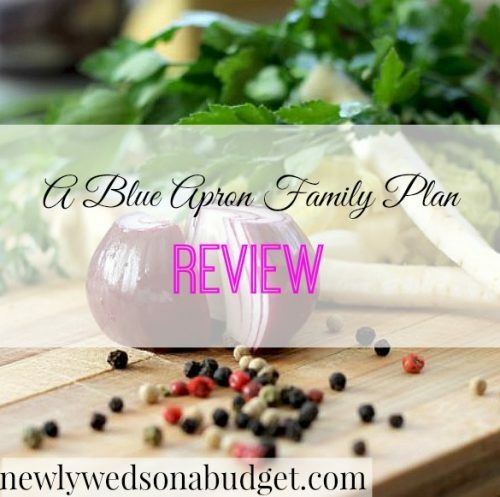 Okay, so here is the bottom line for my Blue Apron family plan review, for anyone who is busy and wants to eat healthy and whole meals but has no idea what to prepare, Blue Apron is a great option. If anything, it’s worth a try so you can see for yourself. I really enjoyed the anticipation of getting the food and putting it all together – it was a delicious experience. When you place your first order, you receive 3 free additional meals. If you want to get Blue Apron yourself – use this link or click on the ad to the left, both are good for $30 dollars off your first order. If you liked this posting, please share it on social media or leave us a comment below. ← Paribus Review: Is There a Catch?